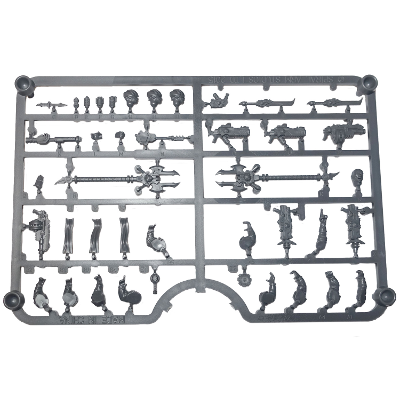 Assembly is straightforward and the two above sprues will make up three models with the following parts. Please note that arms are paired, so do not mix them up or you'll have a really hard time putting them in pairs again! Pairing is done by number, so A1/B1 are a pair, as are A5/B5, etc. 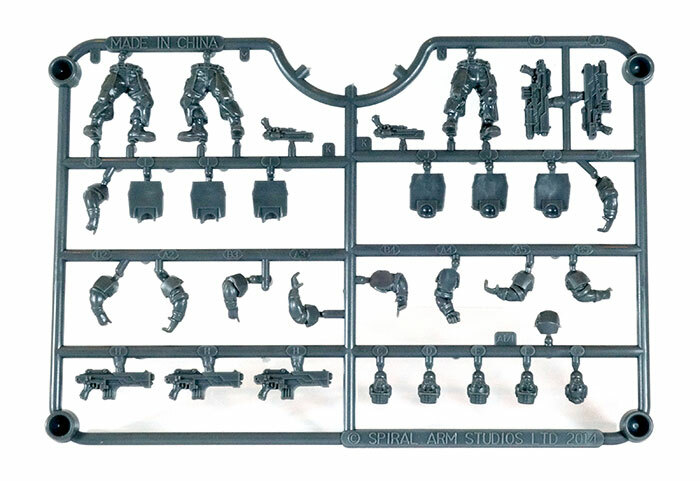 You can choose between the rolled-sleeve versions on the Contractor sprue, or the sleeves-down arms on the Expansion sprue. The main build considerations with the Epirian Contractors are that some of the arm poses do not work well with some of the leg poses due to the angles involved, so as always, be certain you dry fit things first. If in doubt, try to copy our studio assemblies for good effect. 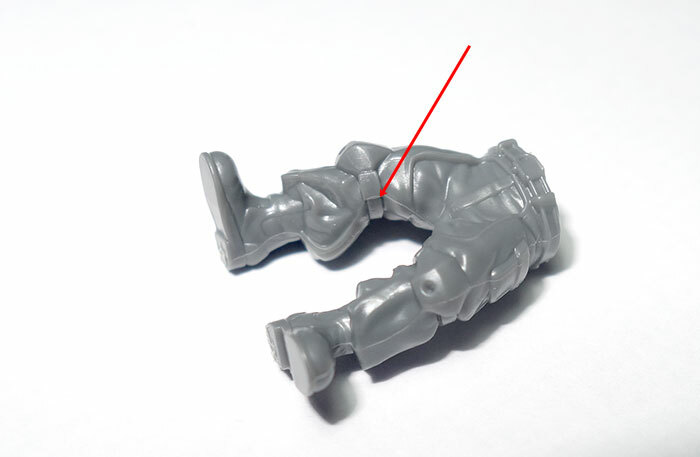 As with our Epirian Handler model, the torso has a slight lean to it, and because of that, if you place one foot higher than the other when basing your models, you'll open up much more posing flexibility. This can be done easily by bulking up your basing texture underfoot, adding a pebble or slope to the base, or a multitude of other options. That raised mould line between the front and rear halves of the part looks a lot better if it is shaved down but as it is a little bit deeper than our usual near non-existent mould lines, it can be missed when trimming. Please note that in the photo above we've used a pre-production prototype piece with mould lines that are much worse than our finished products so that you can see more clearly. Legs, torso and heads go together as you would expect. 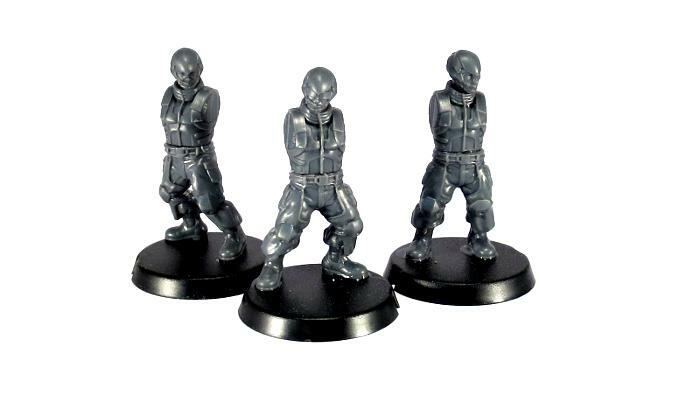 Suppression Team members magnetically lock their 'spare' weapon to their backplate when not in use. 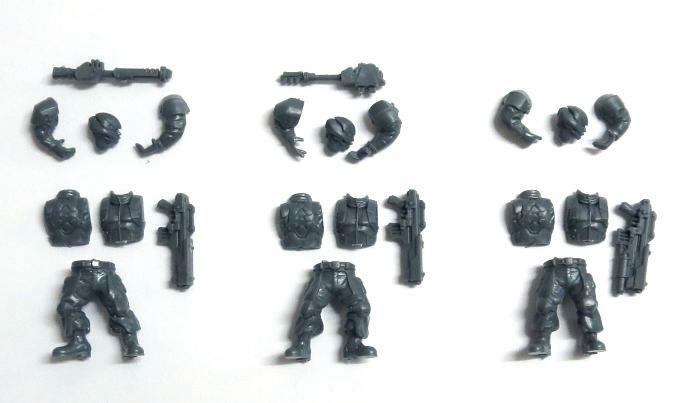 So if you choose to have rifles in hand, you can glue the shock weapons to the model's back. 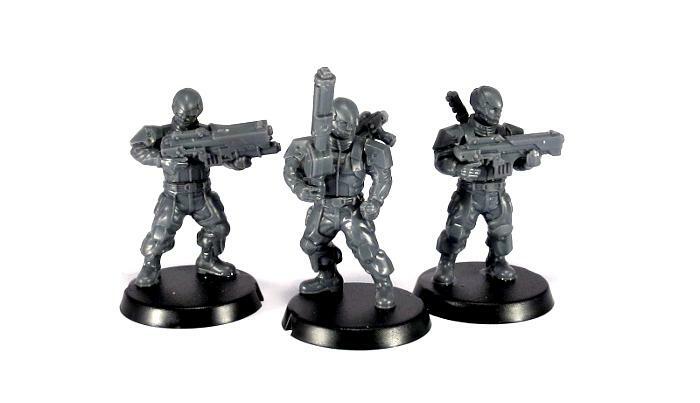 Alternatively, you can glue the rifle to their back or sling a pistol off their belt, and put the shock weapon in hand. Use the rifle arms that have the index finger on the trigger, rather than the extended-finger hands - the fingers are close enough together that they still look fairly natural gripping a handle instead of a pistol-grip. The Shock Baton does have a chunkier grip than the Maul, so if you're having trouble getting it to fit, you can shave down the sides of the grip a little. 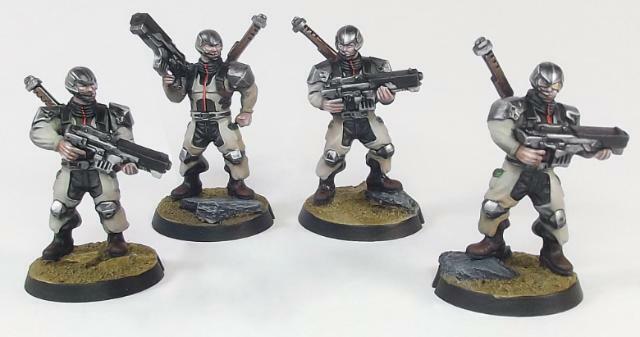 For some more ideas for building your Suppression Team models, check out the Epirian Suppression Team Spotlight article here.